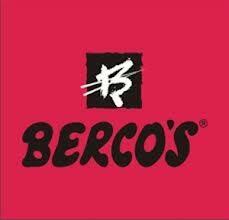 The 15th outlet of Berco's recently opened in the city. The endeavour is to introduce one outlet in every part of the city. Three decades ago, the first outlet opened in CP. Today, there is one is every corner from Gurgaon to Noida, Saket to Pitampura, and with Preet Vihar, Dwarka, Janakpuri, Rajouri Garden, Kirti Nagar, Rohini and Kamla Nagar, the restaurant has plans to enter new avenues. The secret to the success of the chain is constant innovation. They take pride in continuously re-inventing themselves by offering new ideas in terms of the experience and food, while keeping their essence intact. Along with old favourites like Crispy Honey Chicken, one can find interesting introductions like Wasabi Prawns and Khow suey. The restaurant has also decided to take a step forward to introduce a complete range of Thai food. With a strong network of home delivery riders, they ensure that the same taste is delivered to customers in the comfort of their home. The challenge is always to keep the price point intact. Besides taste, value-for-money is the second pillar of the restaurant's credibility.The Berco's culture of service and its great food have won the restaurant accolades year after year from several magazines and food channels. Customers can also the avail the Citibank dining privileges with a 15% discount at Berco's outlets.